Your boyfriend popped the question and you said yes. You have secured the date as well as the wedding venue. The next task to hunt for the perfect makeup artist for your ROM, photoshoot and wedding day seems rather daunting. 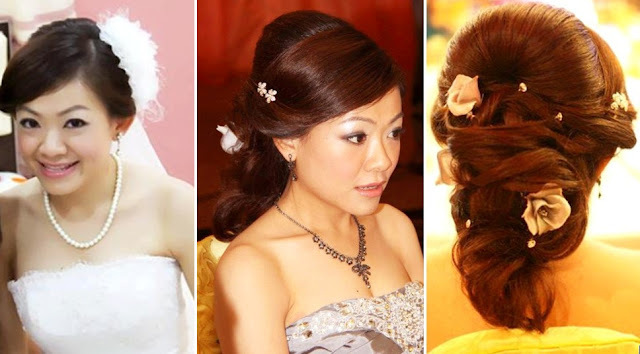 Try to look through a variety of bridal styles on or off-line. It will help you determine the version you favor. 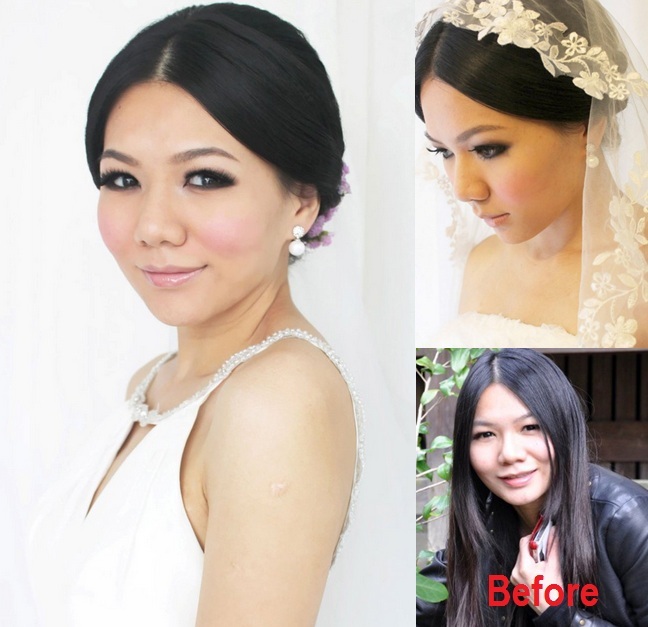 Do you fancy a more dramatic makeup with sharp contrasting colors, or an au-natural makeover for a simple dewy look? 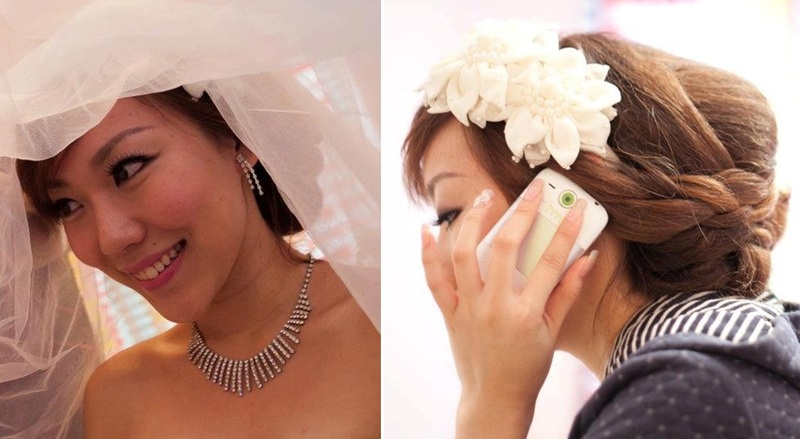 Mabel Toh specializes in creating simple yet classy and unique bridal look. Her styling is very sleek. She invites her clients to Facebook so she could survey their profiles to study their facial features, character and style. The advice is one should not pick a style that deviates too much from her original self. Being a perfectionist, Mabel strives to artistically develop the perfect style for her brides. She innovates and invents unconventional images which are uniquely chic. The ordinary style may not go well with every bride, hence thinking out of the box has its advantage. I notice the amazing results created by her skillful fingers. With loads of patience, she carefully draws and brushes, knowing how much or how little to paint in order to achieve the desired look that complements the bride's features and the gowns she is going to wear. In addition the fussy Mabel attentively matches the precise accessories to produce a more outstanding look. 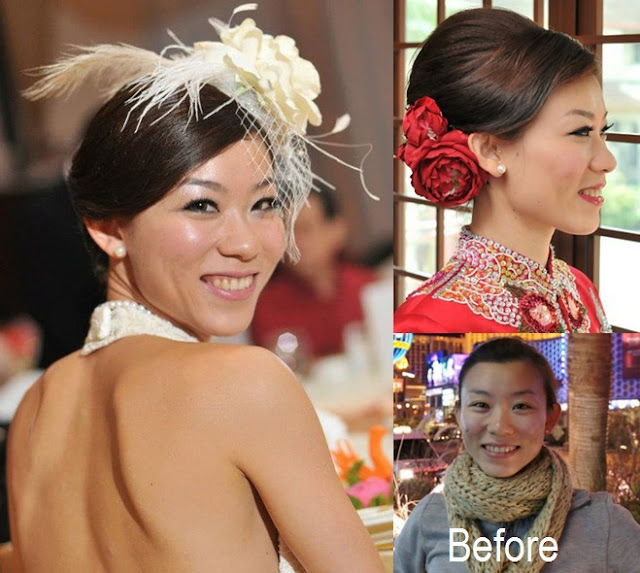 Mabel transformed the bride into sophisticated classic beauty. Look at the pair of alluring eyes and her enticing kissable lips. 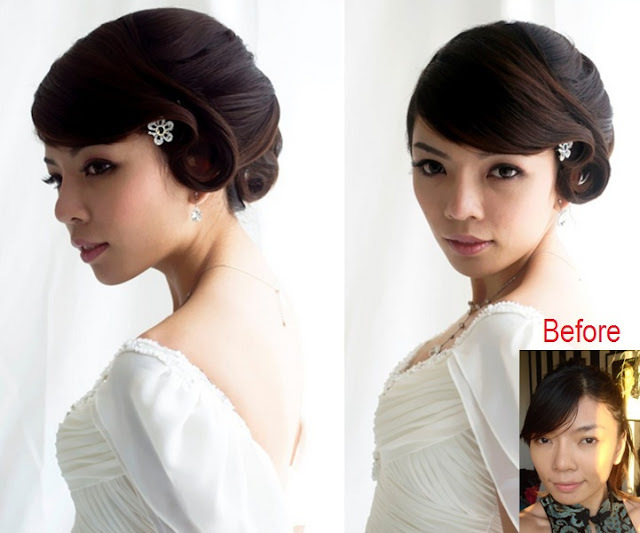 Mabel Toh is a certified professional make up artist with over 14 years of experience. She has been involved in numerous events such as bridal shows at Wedding House and Star Cruise, runways, commercials and sample shooting. Be rest assure you will be in safe hands if Mabel is the MUA you choose. 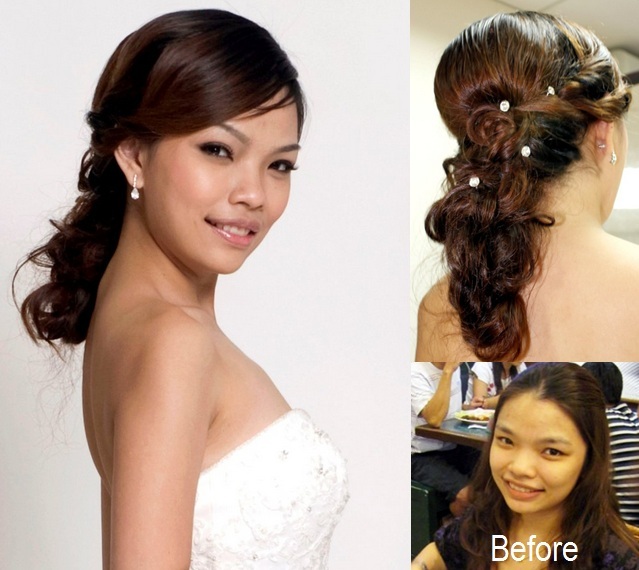 Besides that she also conducts personal and professional makeup/ hairstyling courses. 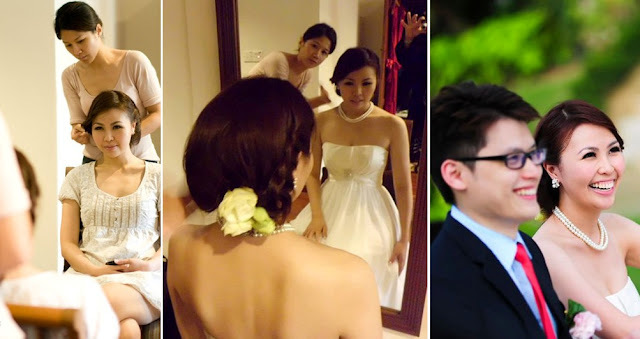 AnnaBelle Couture, a partnership of wedding experts - provides professional photography, event services and professional make-up for actual wedding day, pre-wedding (local and overseas). It offers fine workmanship and full range of tailor made wedding gowns as well as gown rental at sensible affordable price. Kindly send your inquiries by referring to contact information below and they will revert on the packages details.